While holding the priesthood brings great blessings, the priesthood also carries with it great obligations. My dear brethren, it is always a great privilege and heavy responsibility to address the priesthood of the Church. Possibly this is the largest gathering of priesthood in the history of the world. 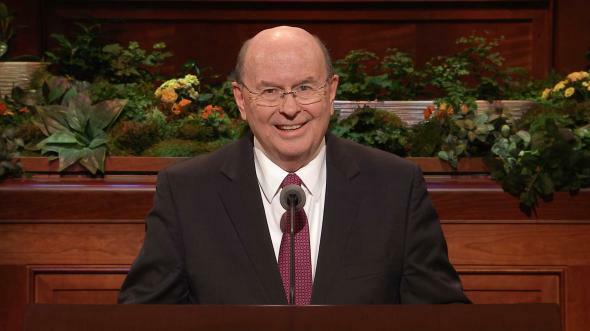 I should like to speak to you young men about how blessed you are to hold the Aaronic Priesthood, which is also known as the “lesser priesthood.” But the word lesser, however, does not in any way take away from its importance. There’s nothing small about it—especially when I see how big some of you young men are! I’m sure you remember how excited you were the first time you passed the sacrament. 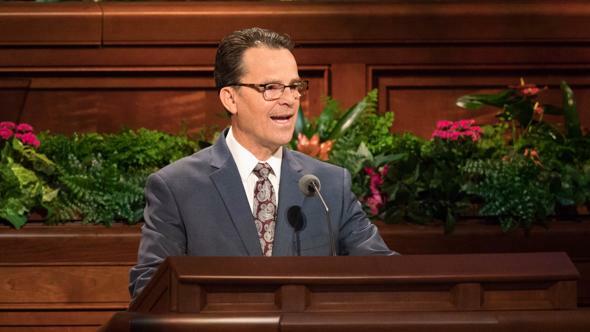 As you Aaronic Priesthood holders assist in preparing, blessing, administering, and passing the sacrament, you help all members who partake thereof to recommit themselves to the Lord and to renew their faith in the Savior’s atoning sacrifice. 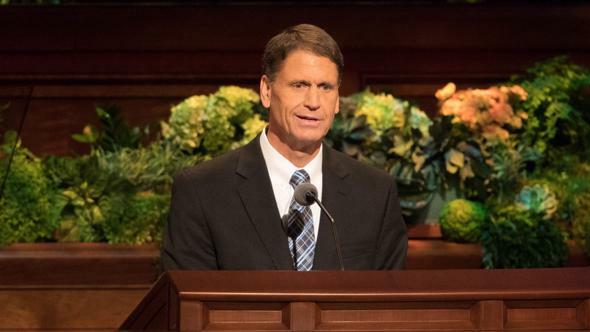 Members who take the sacrament are reminded to take upon themselves the name of the Son, always remember Him, keep His commandments, and seek to have His Spirit to be with them. 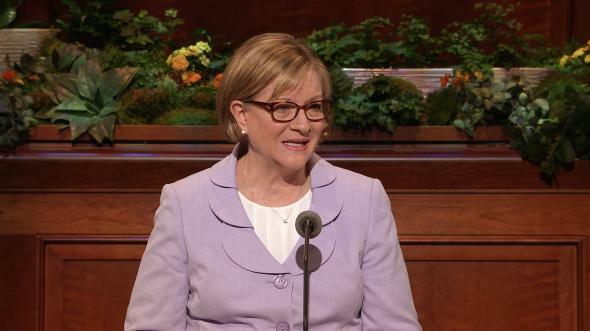 I hope that you will value the priesthood you hold and always honor your priesthood duties. Generally, the Aaronic Priesthood, under the direction of the bishopric, has the responsibility to administer and pass the sacrament. In our home ward here in Salt Lake City, we have a good number of faithful, older members but few of Aaronic Priesthood age. Over the years I have watched these high priests and elders, men of faith and great accomplishments, humbly and reverently pass the sacrament of the Lord’s Supper. For a while this group of priesthood holders included a senior federal judge, a candidate for the office of governor of the state of Utah, and other prominent men of stature. Yet they were honored and obviously felt privileged to perform this sacred priesthood duty. I would like to say a word about the ministering of angels. In ancient and modern times angels have appeared and given instruction, warnings, and direction, which benefited the people they visited. We do not consciously realize the extent to which ministering angels affect our lives. 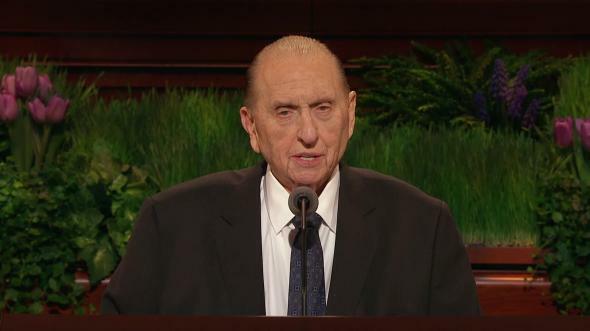 President Joseph F. Smith said, “In like manner our fathers and mothers, brothers, sisters and friends who have passed away from this earth, having been faithful, and worthy to enjoy these rights and privileges, may have a mission given them to visit their relatives and friends upon the earth again, bringing from the divine Presence messages of love, of warning, or reproof and instruction, to those whom they had learned to love in the flesh.”6 Many of us feel that we have had this experience. Their ministry has been and is an important part of the gospel. Angels ministered to Joseph Smith as he reestablished the gospel in its fulness. Alma was so overcome by this experience that he fainted and had to be carried to his father. Only after his father and others had fasted and prayed for two days was Alma restored to full health and strength. He then stood up and declared, “I have repented of my sins, and have been redeemed of the Lord; behold I am born of the Spirit.”7 Alma went on to become one of the greatest missionaries in the Book of Mormon. 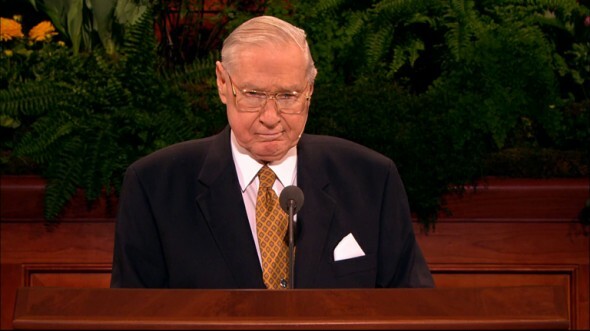 Yet in all his many years of missionary service, he never spoke of the angel’s visit. Instead, he chose to testify that the truth had been made known to him by the Holy Spirit of God. To be instructed by an angel would be a great blessing. 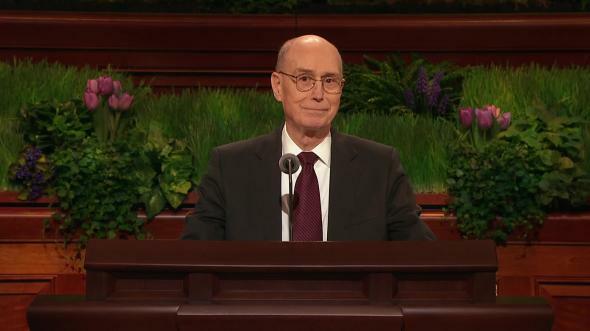 However, as Alma taught us, his final and lasting conversion came only after he had “fasted and prayed many days.”8 His complete conversion came from the Holy Ghost, which is available to all of us if we are worthy. You young men are building your testimonies. These are strengthened by spiritual confirmation through the Holy Ghost in the ordinary experiences of life. While some great manifestation could strengthen your testimony, it won’t likely happen that way. All priesthood holders need to magnify their callings, acting in the Lord’s name to the extent their office and calling permit. 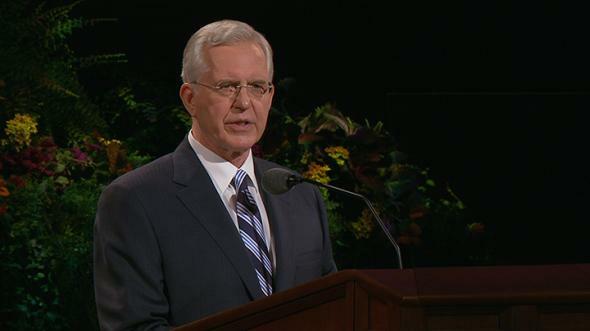 We magnify our callings by following the direction of our quorum presidency, the bishop, and our quorum adviser. It means preparing, administering, and passing the sacrament as we are asked to do so. 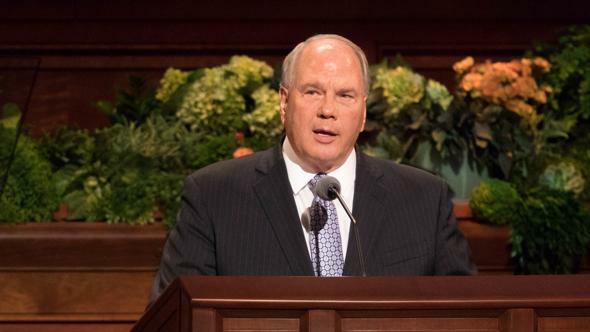 It also means performing other responsibilities of the Aaronic Priesthood, such as cleaning our Church meetinghouses, setting up chairs for stake conference and other Church meetings, and performing other duties as assigned. Holders of the Aaronic, or preparatory, Priesthood are obligated to qualify for the higher priesthood and to receive training for greater responsibilities in Church service. Holding the Aaronic Priesthood carries with it the obligation of being a good example, with clean thoughts and proper behavior. We acquire these attributes as we carry out our priesthood duties. You will be associated in your quorum and other activities with young men who have the same standards that you have. You can strengthen each other. You can study the scriptures and learn gospel principles to help you prepare for a mission. You can learn to pray and recognize answers. The Doctrine and Covenants describes different kinds of authority relating to the Aaronic Priesthood. First, ordination to the priesthood gives authority to perform the ordinances and possess the power of the Aaronic Priesthood. The bishopric is the presidency of the Aaronic Priesthood in the ward.10 Second, within this priesthood are different offices, each with different responsibilities and privileges. As a deacon, you are to watch over the Church as a standing minister.11 As a teacher, in addition to watching over the Church, you are to “be with and strengthen them.”12 As a priest, you are “to preach, teach, expound, exhort, and baptize, and administer the sacrament, and visit the house of each member.”13 Your bishop, who holds the office of high priest, is also the president of the priests quorum and directs the work of the quorum. 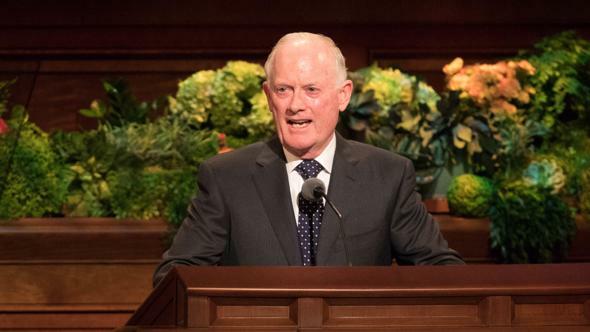 As I have noted, teaching is one of the important duties of the Aaronic Priesthood. The opportunity for you young teenagers to teach often comes as you serve as a home teaching companion to your father or some other Melchizedek Priesthood holder. Looking after needs in a temporal and spiritual way is a very significant part of watching over the Church. You young men of the Aaronic Priesthood need to have the Spirit with you in your personal lives as well as in home teaching, preparing or passing the sacrament, or other priesthood activities. You will need to avoid some stumbling blocks. One of the biggest of these is addiction. The Lord in His wisdom has warned us that substances that are not good for us should be totally avoided. We have been warned not to take the first drink, smoke the first cigarette, or try the first drug. Curiosity and peer pressure are selfish reasons to dabble with addictive substances. We should stop and consider the full consequences, not just to ourselves and our futures, but also to our loved ones. These consequences are physical, but they also risk the loss of the Spirit and cause us to fall prey to Satan. I testify of the refining, spiritual, comforting, strengthening, and restraining influence the priesthood has had in my life. I have lived under its spiritual influence all my life—in my grandfather’s home, in my father’s home, and then in my own home. It is humbling to use the transcending power and authority of the priesthood to empower others and to heal and bless. May we live worthy of holding the priesthood authority to act in the name of God, I pray in the name of Jesus Christ, amen. Adapted from Laird Roberts, “On Water and Bread,” Tambuli, Oct. 1984, 40–41; New Era, May 1984, 8–9. Gospel Doctrine, 5th ed. (1939), 436. See D&C 84:111; see also D&C 20:57–59. William G. Hartley, “Ordained and Acting Teachers in the Lesser Priesthood, 1851–1883,” Brigham Young University Studies, spring 1976, 384.